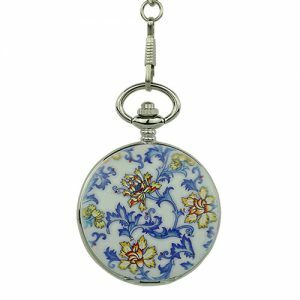 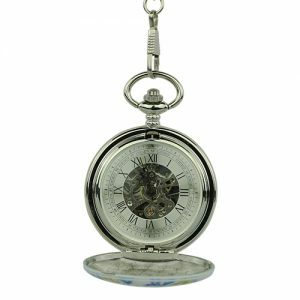 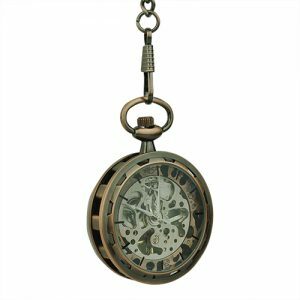 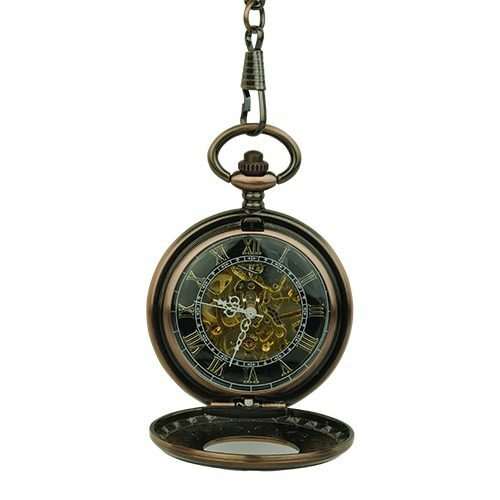 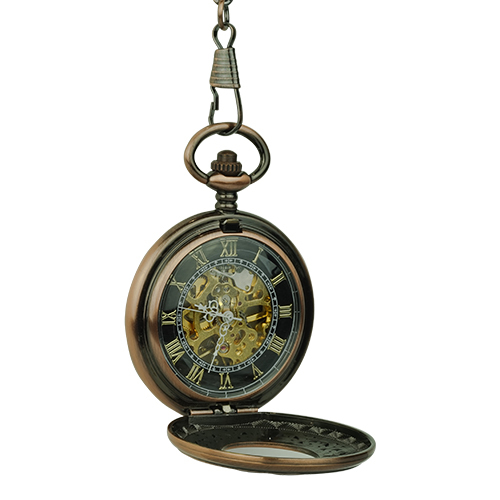 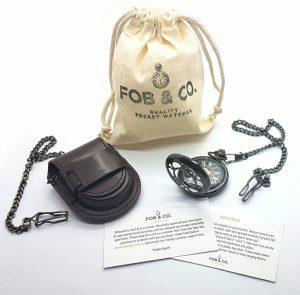 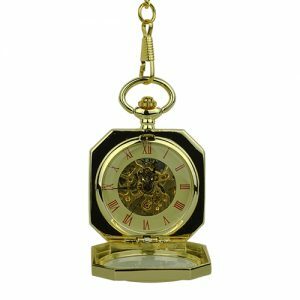 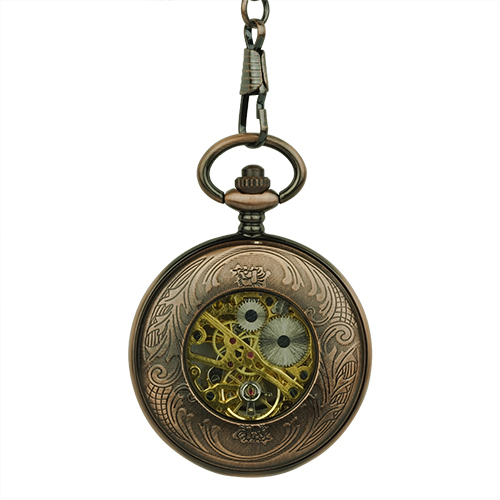 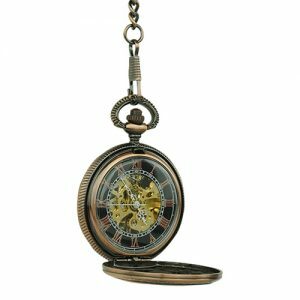 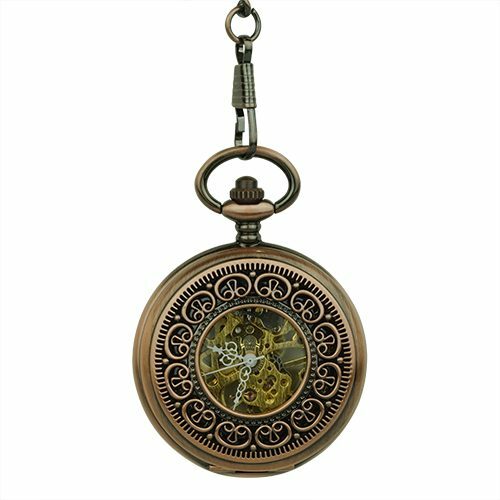 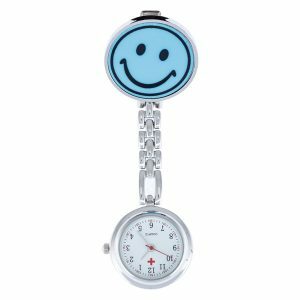 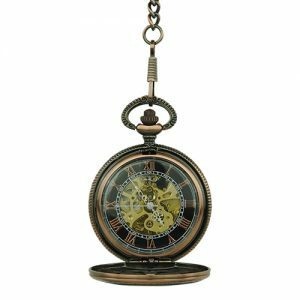 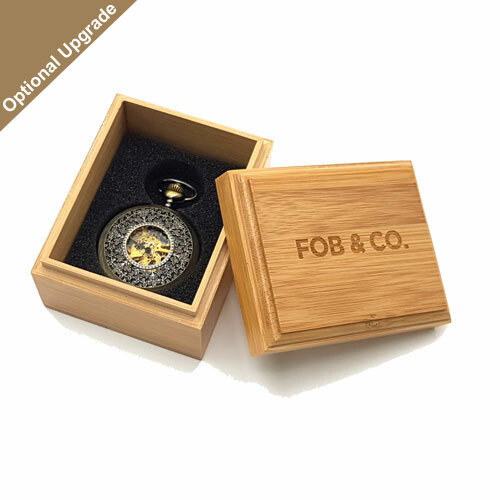 Striped Heart Rim Bronze Tone Fob Watch - Fob & Co.
Stay on time no matter how hectic your day becomes with a sleek and stylish pocket watch designed with a wonderful Grecian pattern. 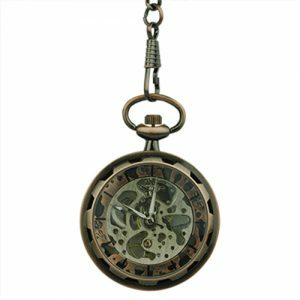 This timepiece features a beautifully crafted front frame of bronze Greek patterns surrounding a see-through window that reveals the subdials and inner workings of this dapper watch. 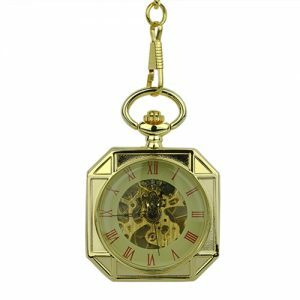 Inside you will find gold-coloured Roman numerals against a black background while at the centre is the gold skeleton with the subdials.